Lightroom Trial Review - How Long Does the Free Trial of Lightroom Last? Want to know how to get Adobe Lightroom for free? You do not need to pay for the software, you can just use the Lightroom trial. Let me tell you about 2 ways on how to download free Lightroom CC 2019 without paying monthly and where to find discounts or photo editing freebies. How to get Lightroom FREE Trial? How to cancel Lightroom trial? Lightroom is the most popular program for color correction, photo organizing, storage, and working with RAW files. This is one of the best programs designed by Adobe Co. for photographers. This photo editing software has a simple interface and useful functions for converting and working with RAW files, tools to improve colors/white balance/temperature/brightness/sharpness, etc., a huge number of Lightroom presets, brushes, and tight integration with other Adobe products via Creative Cloud. STEP 4. Among all the software versions, find Lightroom and click Download Trial Version. STEP 5. Go to the download files in the browser and double-click on the downloaded Lightroom free trial file. STEP 6. Sign in using your Adobe ID in the window that appears. STEP 7. Next, download and install it on your computer. STEP 8. Now, you can use the software for seven days, starting from the day you downloaded Lightroom free trial version. Remember that there is no 30-day Lightroom trial app. You have only one week. There is an option that allows you to use Lightroom CC absolutely free for an unlimited period of time. This is true because any user can now independently and completely free download the mobile version of Adobe Lightroom CC. You just need to download it from the App Store or Google Play. Right after downloading, you can enjoy all the benefits of Adobe Lightroom on your smartphone. The program works in the same way as the desktop analogs. You can organize, edit, use paid and free Lightroom presets, and share edited photos with various devices - iPads, iPhones or Android gadgets. Read a full Lightroom mobile app review by experts to know what can you do with your photos having installed this app. In addition to the standard features, Lightroom can also be used as simple storage for your photos, a full digital album. To do this, simply download Lightroom to your mobile, sign in to your account, create an album, and use it. You can upload an unlimited number of images to an album. To do this, click on the album, and then click "Add photos." Now your digital album is full of images. To link an image to a device and add it to an album, open the album and touch the camera icon. Adobe Lightroom CC is set to Auto by default. Choose “Professional” to get more settings, such as shutter speed or white balance. Adjust all necessary settings, and then press the shutter button to take a picture. The functionality and capabilities of the Adobe CC Lightroom mobile version practically do not differ from the full-fledged desktop program. You will find all the same settings and tools available in the paid software: colors adjustment, shadows, effects, details, work with lens flares, auto-adjusting, brushes, text and more. Besides, there are many beautiful Lightroom presets you can use. After you have made some changes to your photo, you can save them, creating a preset. This is quite a useful feature if you are editing photos in the same style. Are you a wedding or event photographer who has thousands of photos that need color correction? Don’t have time to do it Lightroom? Send your photos to FixThePhoto and receive professional wedding photo retouching services for about $0,20 per photo. STEP 1. Log in to your Adobe ID account. STEP 2. Go to your account and click “Manage the plan” in the “Plans” section. STEP 3. In the Schedule and Payments section select “Cancel Plan”. STEP 4. Specify the reason for cancellation and click “Continue”. STEP 5. Within a few hours, Adobe will review your application and send a message with instructions to follow. If you can’t edit photos in Lightroom, view more about free and cheap Lightroom alternatives you can use for color correction and raw photo editing. Today, Adobe offers 3 separate plans that include Lightroom and the possibility to purchase Lightroom 6 as a separate product. Many users choose the most expensive plan, thereby getting access to all the Adobe programs. But, first of all, I recommend you to read about characteristics of each plan, for who it is designed and then decide on the suitable option. Lightroom 6 is a great option for those who do not need Adobe Photoshop, Lightroom CC, Cloud storage and tight integration with other Adobe products. You should choose this Lightroom plan if you travel a lot and do not have an Internet connection, but you need good offline software to edit RAW files and make photo color correction before posting your photos. You should choose this Lightroom plan if you travel a lot and do not have an Internet connection, but you need good offline software to edit RAW files and make photo color correction before posting your photos. This plan is ideal for travel photographers, because, they typically have about 2-3 thousand photos after one travel, which can be easily sorted and corrected by color with one mouse click. Photography Plan is a great variant for photographers who do not need all Adobe products but only those connected with photo retouching and photo color correction. 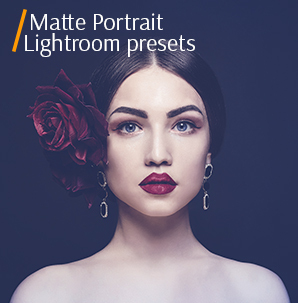 This plan does not include all types of programs, but it offers only the most necessary softwares for digital image retouching, color correction and drawing: Lightroom CC, Lightroom Classic CC, Photoshop CC. As well as other fixed subscriptions, you will receive Cloud storage to save your photos. It can be changed depending on your needs: from 20GB to 1TB. Can’t choose between 2 Lightroom versions? Read more about the differences between Lightroom CC vs Lightroom Classic and what photo editing software is better for beginners. It is suitable for photographers working in the studio, and for specialists engaged in fashion photography, since such photos are usually taken RAW, and on average, one photo shoot takes about 30GB. With Lightroom, a photographer can perform color correction, and then switch to Adobe Photoshop for deep image retouching. Lightroom CC plan is great for those, who do not use or do not need Photoshop. This is a rather interesting option if you don’t need to do photo retouching at all. The Adobe Lightroom CC plan is ideal for wedding or event photographers, as the program quickly organizes and sorts your photos, and 1 TB of memory will allow you to store dozens of photo libraries. 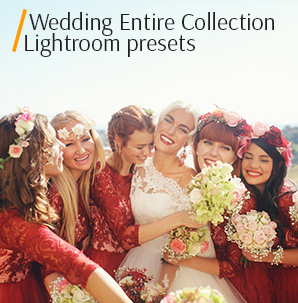 You will be satisfied with the Lightroom functionality: color correction, presets and brushes. The plan includes Lightroom CC and 1TB of Cloud storage. Creative Cloud All Apps is a plan that includes all Adobe products currently available. Adobe combined all its products in one Creative Cloud Photography Plan, which allows working with photos, using not only Lightroom and Photoshop, but also various other programs, such as Illustrator CC, InDesign CC, After Effects CC, Dreamweaver CC and many others. It is suitable for bloggers and photographers of different styles, as this plan includes PS and LR, which together allow you to achieve professional photo retouching. In addition, Premiere Pro CC helps you edit, crop and adjust the color of the video. Despite such a strong fight against piracy, Adobe softwares are still in danger. You can download Lightroom in one way or another completely free without any payment BUT expose your computer to a number of serious dangers and viruses. If you want to try edit photos free in Lightroom CC or Classic, view more about 2 legal ways about how to get Lightroom for free without viruses. If you work or study at any official educational establishment, you have some privileges on using Adobe products. 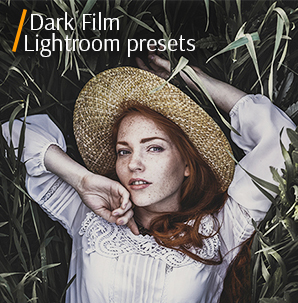 You can save up to 60% of the total Lightroom subscription cost. You need to fill out the form on the Adobe official website and provide information about the place of study or work. Then the information will be sent for verification, and in a day you will receive a letter to your e-mail. Namely, you’ll get the information about the Adobe Lightroom discount that you can use to save on the Adobe Photography Plan for students and teachers. How to Get a Discount if You Are a Student or Teacher? University or college. It must be an accredited public or private university, a college (including a public, junior or vocational college) that provides degrees requiring at least two years of full-time study. Primary or secondary school. You must be a student or teacher at the accredited full-time public or private elementary school or high school. Homeschool – regulated by state homeschooling rules. STEP 2. Sign in or create an account. STEP 3. Go to the “Creative and Design” section and select “Students and Teachers”. STEP 4. Check the contents of the available Adobe Lightroom plans and click "Buy Now". STEP 5. Fill out the form. Specify your study or work’s name, be you a student, teacher or administrator. Then provide a student document or other proof. STEP 6. Confirm the application and wait for the letter to your email address. Then follow the links or instructions that will be specified in the message. If you are not a student, teacher, or school employee, do not get upset, as you can reduce the cost of any Adobe Lightroom plan in other ways. The thing is that Adobe has some interesting offers, promotions and generous discounts once a month. If you often visit the official site, you may notice an interesting offer, as it was recently, during the New Year holidays. A photo plan, which usually costs $19.99, can be purchased with a generous discount – $14.99. However, you should remember that the offer is limited and allows you to save money only once, and then you will be automatically transferred to a regular payment with a fixed Adobe Lightroom price. If you have any questions, please read the questions below before contacting Adobe support or trying to find an answer among various forums. 1. Where Can I Get More Information About Managing My Account? To change your contact information, update your credit card details or update, renew or cancel your membership - go to the official website and log in to your personal account, and then open your profile. 2. What Payment Methods Can I Use to Buy a Creative Cloud Membership? Credit card payments are accepted for Creative Cloud membership in all supported countries. Payment via PayPal is accepted only in a few supported countries (you can read the list on the official website). 3. Can Lightroom CC Export to CS6? Many of Creative Cloud's desktop applications allow you to export files to the version of the same Creative Suite 6 application. Adobe plans to continue supporting the ability to export to CS6 in applications that already have this feature. New features added to desktop applications after CS6 may not be supported in either the exported file or in the CS6 application. If you want to reduce the time spent on image editing in Lightroom, or want to get a professional and realistic result, you can download some free Lightroom presets. 1. FREE Black and White Lightroom Preset "HDR"
This is the classic Lightroom preset for wedding, portrait and studio photography. Use it if you want to make the photo emotional and eliminate light defects. 2. FREE Matte Lightroom Preset "Contrast Warm"
This matte Lightroom preset adds saturation by highlighting the center of the photo and removing excess shadows. Mostly these Lightroom presets are used with portraits because they help hide skin imperfections. They create a professional matte-looking effect in the photos taken outdoors with much green and blue. 3. FREE Pastel Lightroom Preset "Butterfly"
Butterfly is one of the most popular Lightroom presets among amateurs and pros. This filter is suitable for any photography genre. Regardless of the lighting used, this preset will fill the image with a warm atmosphere.